INCLUDES 1 YEAR WARRANTY. The HP 4250 Series Printer enhances work group productivity with fast print and first page out speeds. 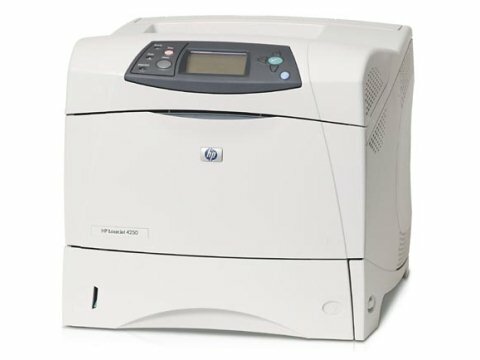 The HP LaserJet HP4250N prints at speeds of up to 45ppm. As well as its performance features, the network-ready HP 4250N Laser printer is user friendly and versatile with extra options to meet your work group needs. The HP 4250N Printer enhances work group productivity with fast print and first page out speeds. The HP LaserJet HP4250N prints at speeds of up to 45ppm. 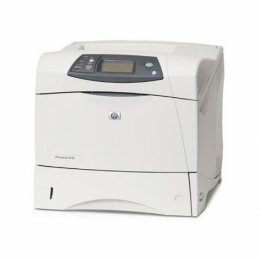 As well as its performance features, this network-ready 4250 N printer is user friendly and versatile with extra options to meet your work group needs. Using genuine HP supplies ensures availability of all HP printing features. HP Sure Supply online ordering program availability varies by region. Embedded networking is available on the HP LaserJet 4250n. Using genuine HP supplies ensures availability of all HP printing features. Dimensions (H X W X D) 14.8" x 16.5" x 17.8"
Save memory on your PC by choosing the Custom option when you install your printer, and picking just the software you want to install. All other things being equal, whiter, brighter paper makes text and line graphics crisper and colors more vibrant. Your printer is not a dumping ground. Don't pile documents or other things on top of it, as they could cause damage. Your printer could overheat and this could result in malfunctioning and even a reduction in the printer's life.